A major part about becoming financially independent is really understanding the basics of your financial responsibilities. Once you've covered general knowledge about taxes, pensions, savings, and all of your assets, you can make positive choices that will make you financially self-sufficient. A deeper knowledge behind your money, and how to responsibly spend it and save it, will always be beneficial in the long run. Get to know your finances and you can invest in your future, your family’s future, and your financial freedom. When do you pay taxes, how much of your income can be tax free, and what you can write off are all good basics to comprehend. The fundamentals of your pension savings will cover how you form a great pension plan and how much you and your employer both pay into it. Once you really know these simple facts, you can focus more on how you’ll spend all the money you’ll save with your great financial choices. Let’s start with a straightforward answer to what a pension plan is, and which one is best for you and your future retirement plans! A personal pension is an important financial planning tool. You take a certain amount of money and invest it regularly into a portfolio. That portfolio will then take your investment and help it grow during your working years, so that you can enjoy it when you plan to retire! If you don’t have a retirement pension with your employer, you can always invest into a private pension plan. You can choose to manage the portfolio yourself. Diversifying through bonds, stocks, or simply letting it grow through an interest plan. This will take research, a thorough understanding of the risks involved, and the best kind of investments for a good long-term return. You can also choose to have a pension management company handle your retirement plans for you. This is great for people who understand the value of saving for your retirement, but don’t quite get the ins and outs of investing. Save your private time and let professionals help you reach your financial goals! Pensions are an investment into yourself, your loved ones, and your future happiness. You can research various plans, but you should also understand the different variables for what you’ll need when you DO retire. Taxes are a part of living in a modern society. We pay into the care of our roads, our government, our water, and so much more. Taxes are taken from your personal income, your property, and your day to day purchases. Filing your taxes can be a delicate dance. You have to know your due date, the various items you can claim for deductions, what bills and receipts to keep, health insurance, and so on forever. Planning ahead for your taxes is an essential part of financial understanding. Especially in your younger years! Things you can claim in your taxes that you may not have known could be deducted! Health Insurance. If you pay for private health insurance, you can get the cost of your insurance premiums deducted from your taxes. This is if your medical expenses for the year have gone over 7.5% of your income. Charitable Giving. If you've given more of your fair share into the hands of the less fortunate, you can deduct those charity checks from your taxes! From a $12,000 check to fight breast cancer, to items for a bake sale, look into what you can deduct for being a good person! Business expenses. If you work for yourself, you can typically deduct anything that you use on a daily basis for your business. That doesn't mean you get to write off your computer every year! But it does include larger purchases, everyday purchases, and even GAS! Get to know what you can and cannot save from your taxes by doing a little research, finding what applies to YOU in YOUR life, and get to saving. Taxes can be tricky though. It typically pays to pay for someone to do your taxes for you. This will not only save you time, but could also pay for itself in deductions and raising the amount of your yearly return! 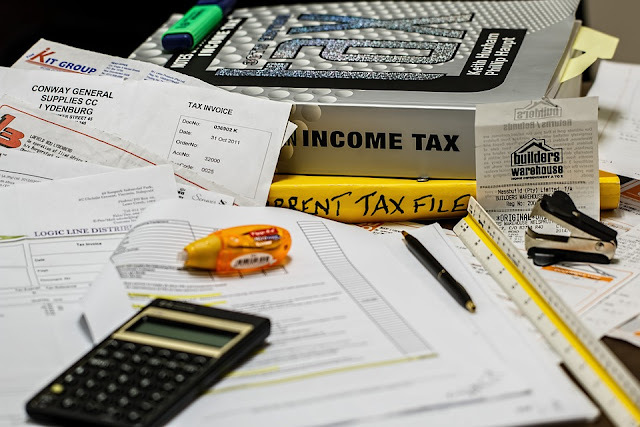 Professional tax experts are extremely familiar with tax laws, the smallest of write-off qualifications, and even are held responsible if your taxes are called up for review! A general understanding of what a pension is, what you can save on your taxes, and the benefits you’ll reap in the long run are certainly helpful. Planning for your future will not only be beneficial to you in the long-run, but will help you get a better grasp on financial freedom!